Location: On the top of the Hadaba cliff overlooking Sharm el Maya & Ras Mohamed National Park, Sharm el Sheikh, South Sinai, Red Sea. Approx. 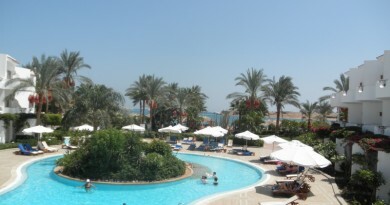 10km south of Naama Bay, and 20km south of Sharm el Sheikh International airport. 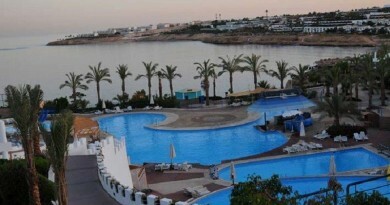 Hotel: This hotel is slightly older than most of the new build in Sharm el Sheikh. However it is undergoing renovation and due to its early build date holds a spectacular position offering panoramic views over Sharm el Maya and Sharm el Mina bays and Ras Mohamed National Park. 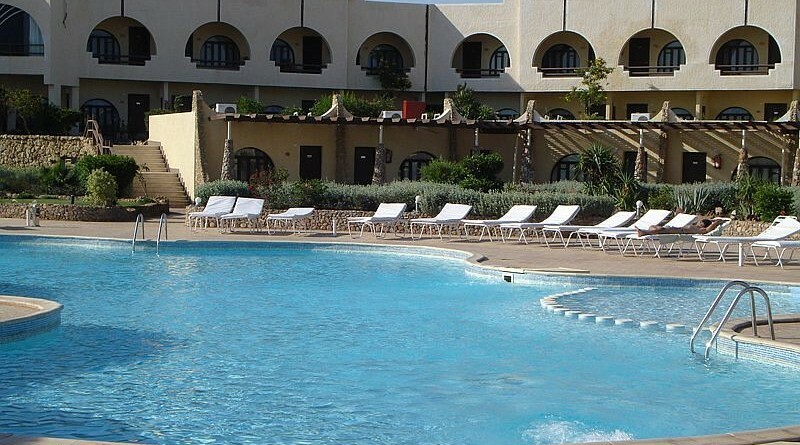 The hotel has five restaurants: Verdi the main buffet restaurant, the Pool Terrace for light snacks, Panorama a-la-carte restaurant, the Bedouin tent, the Sports Bar. 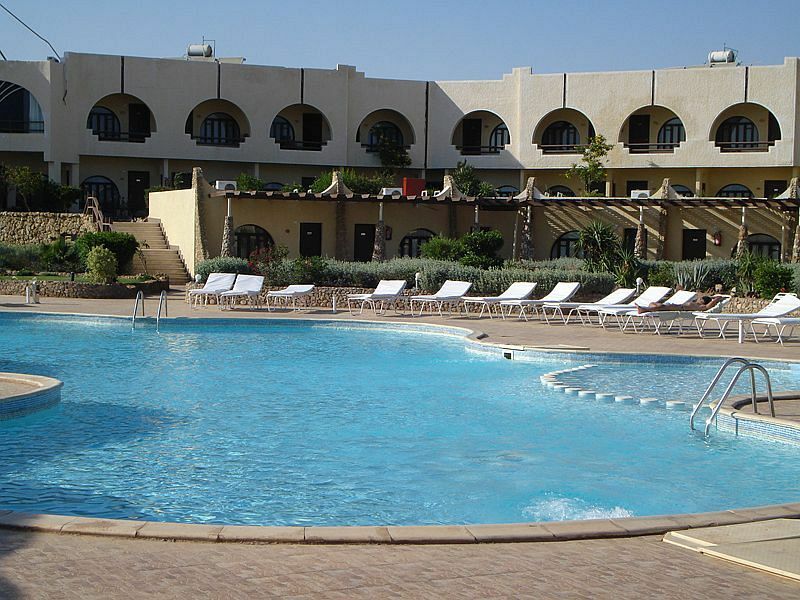 This hotel mainly caters for Italian tourists, so if you don’t speak the lingo you might be a little uncomfortable as the staff mainly speak Italian and Arabic. The hotel now also caters for the Russian market. There is a nice easy walk-way down from the cliff to Sharm el Sheikh Old Town area and to the Terrazzina Beach which is owned by Aida Hotel.